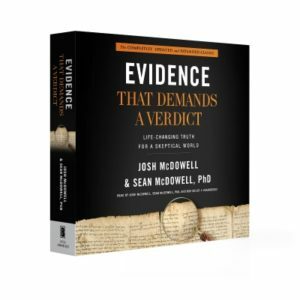 Whether you’re a new believer in Christ or one who’s been “around the block,” odds are you’ve been confronted with difficult questions about your faith. Either your friends or family question what you believe or you have faced these tough questions yourself and haven’t discovered answers that make sense. 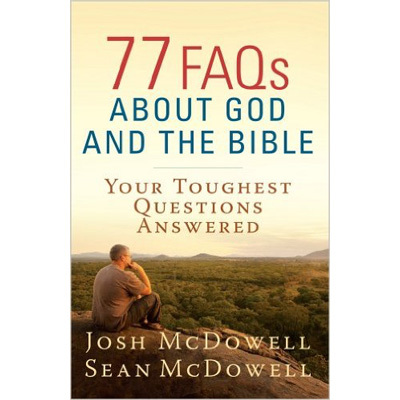 Today’s seekers have questions, and 77 FAQs delivers concise, trustworthy answers. 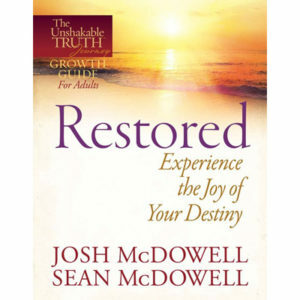 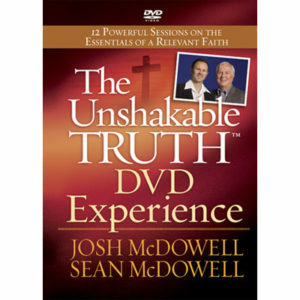 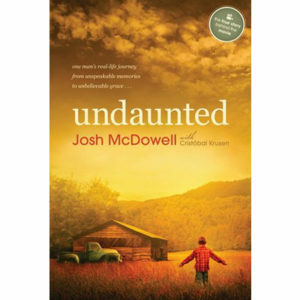 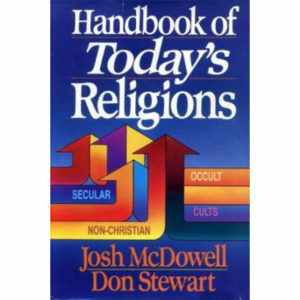 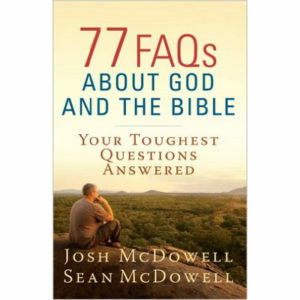 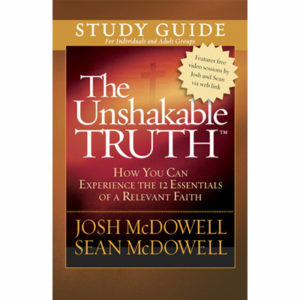 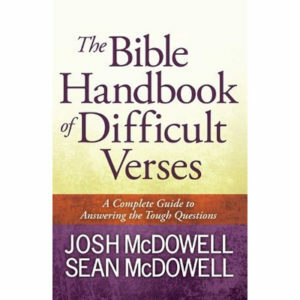 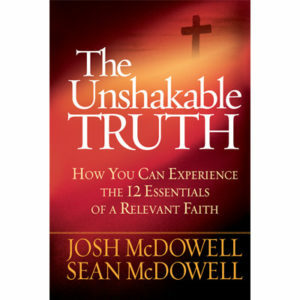 Josh and Sean McDowell provide researched and insightful responses to difficult questions about God and His Word that you can use in everyday life. 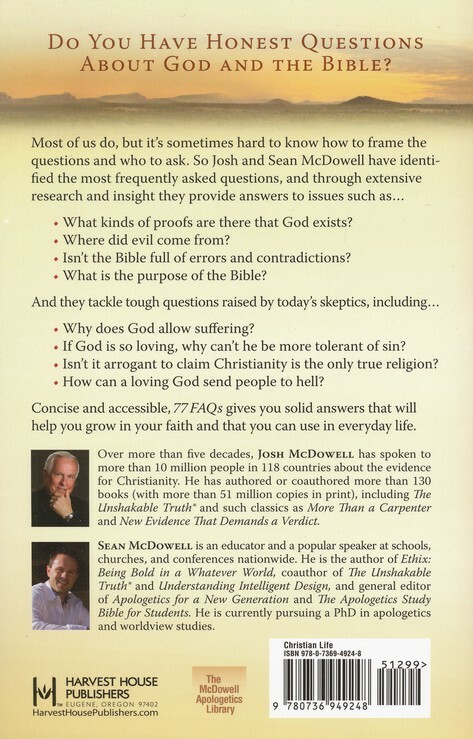 The list of questions can be found in the Table of Contents in the sample pages below. 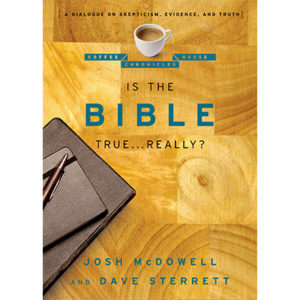 SKU: JM10486 Categories: Classic Apologetics, Is the Bible True?, Who is Jesus?